Small (6" x 9") two-color limited-edition silkscreen print. 1994. Originally part of a (now long-out-of-print) set of five monster prints - only 50 were printed! 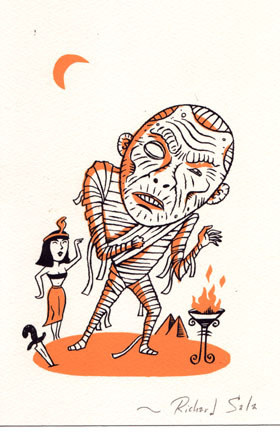 I recently found this ONE artist-proof print of The Mummy.